Save Date: Sept 5th NYC Show! 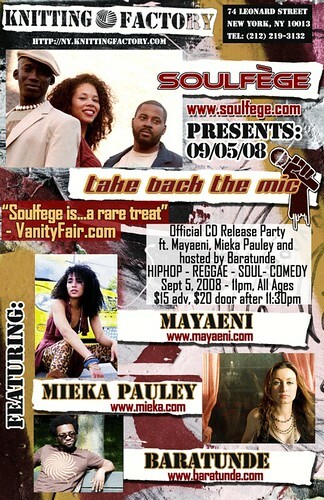 Soulfege, Mieka Pauley, Mayaeni, Me! Hey yall, On Friday September 5, I'll be MCing an incredible show at the Knitting Factory in NYC. This show is some HIGH QUALITY ISH. Get your tickets now!